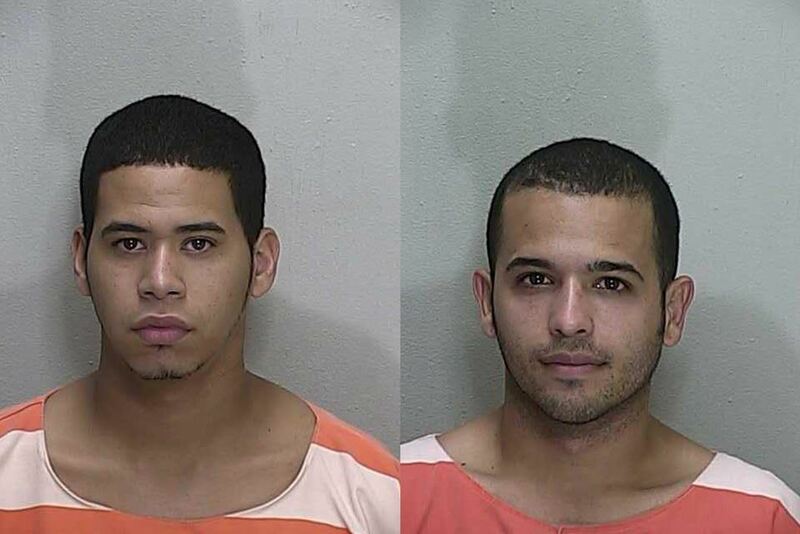 Marion Oaks, Florida — Marion County Sheriff’s Office Property Crimes Detectives have arrested and charged Christopher Velez, 23, and Brian Vargas, 27, for three counts of Grand Theft, Petit Theft, and three counts of Dealing in Stolen Property. During the Christmas season, there were multiple thefts of UPS and Fed-EX packages from homes in the Marion Oaks area. The duo would drive around Marion Oaks — following delivery trucks — and wait for packages to be dropped off to numerous homes. When the packages were not immediately retrieved by the recipient, the two would steal the packages. They would then drive back to Vargas’ residence and open the packages. Every package they stole was intended as Christmas gifts for the victims, which also included multiple gift cards. Detective Lewis and Deputy Rodriguez interviewed both suspects and they were subsequently arrested. Velez and Vargas were also arrested together and charged with Burglary and Grand Theft in early December. Vargas is currently being held on $65,000 bond. Velez was released on $24,250 bond.